UnifiED Executive Director Jonas Barriere speaks on the APEX, or Action Plan for Educational Excellence, initiative during the Unity Group of Chattanooga's State of Education in Hamilton County Forum at Eastdale Village United Methodist Church on Aug. 6, 2017. For more information on UnifiEd or to become a member, visit www.unifi-ed.org/members. Local education nonprofit organization UnifiEd is hoping to pick up more donors and reemphasize its grassroots foundation with the launch of a new membership model. 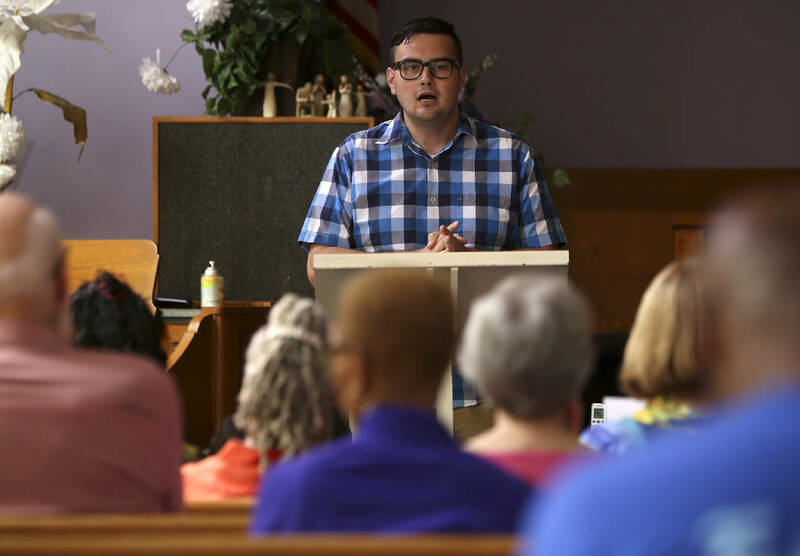 The nonprofit, which has quieted since this spring's local primary elections, is the organization behind the APEX project and report, a community bus tour, Equity Collective small-groups and other efforts to improve Hamilton County's public schools. Now, UnifiEd is inviting members of the community to join it as members through financial contributions and volunteering with the organization. "Since our founding in 2014, UnifiEd has organized our community to help improve our public schools," said Jonas Barriere, UnifiEd's executive director, who has returned to his role after stepping down this summer to lead the UnifiEd Action PAC during campaign season. "Thousands have engaged with the school system and elected officials through our advocacy efforts, and many have assumed leadership within their neighborhoods and networks to successfully advocate for the changes they want to see in our schools. "Community members can now own the growing movement for an equitable and excellent public school system by having a say in the direction of UnifiEd's advocacy and organizing efforts," Barriere said. The model, which incorporates only one level of membership at any dollar amount — but with a suggested contribution of at least $10 a month — gives members voting rights and access to board seats and other benefits. The move is to reaffirm what the organization always has been — a grassroots-driven movement, according to an organization email. An annual meeting is planned for late summer for members to vote on goals for the organization, elect a steering committee composed of members, and elect member representatives to sit on the UnifiEd Board of Directors, according to a news release. The organization's current board includes Wonjen Bagley, Marcellus Barnes, Wayne Brown, Joyce Hardaway, Alison Lebovitz, Aram Perez, Justin Wilkins, Jeffrey Wilson and Edna Varner. The board also organizes a student voice team and employs student representatives at local high schools. UnifiEd was founded in 2014 to encourage more people to get involved in local schools. "Our work has always been driven by what the community tells us it wants to see for our schools," said Varner, the board of directors chairwoman, in a statement. "This new membership model gives more structure and power to community members as advocates and change makers." In recent months, two UnifiEd staff members have left the organization: Natalie Cook, former communications director, and Alexa LeBoeuf, former director of community engagement and design, who has since joined Chattanooga Neighborhood Enterprise Inc. as a policy advocate.